I've had this mani planned in my head for months and months and I finally got around to doing it. 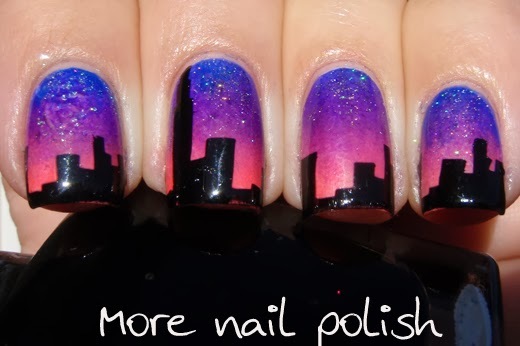 The background is a simple gradient using Ulta3 Blue Marlin, Picture Polish Violet Femme and Picture Polish Sunset (how can I not use this polish for a sunset design!). 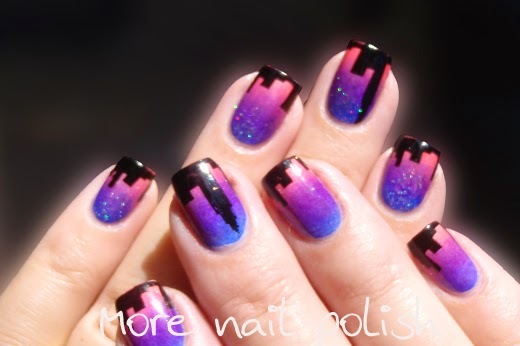 This gradient colour mix was so stunning! 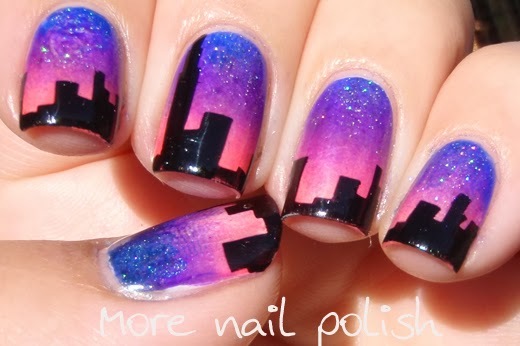 Next I used the cityscape image from Vivid lacquer plate VL004 and stamped in Konad black. After it was all finished, I couldn't help myself but add a little bit of holographic silver glitter into the night sky for some stars. Then I wasn't sure if I liked the glitter, especially cause I smudged my index finger DOH!, so I didn't bling up my right hand. I've also recently started using craft masking fluid (I bought mine locally off ebay) to paint around and protect my cuticles when doing various nail art. Basically it's liquid rubber, so as long as you are not allergic to rubber then it works amazingly. 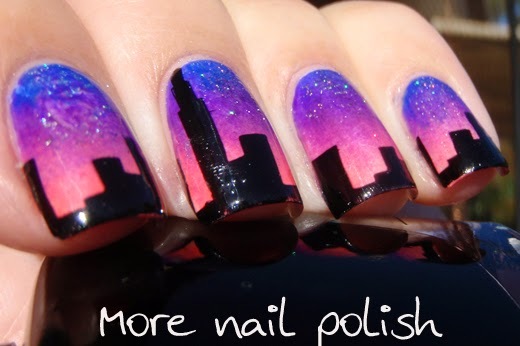 I'm guessing it works very similar to Liquid Palisade in that you paint it on your cuticles, let it dry, do your nail art, then peel it off. I'm also sure that the huge bottle I got was way cheaper than the little tube of Liquid Palisade. Let me know if your interested is seeing it in action with a bit of a how to. Gorgeous! I love these colours together! And its I'd be interested in seeing the masking fluid in action! How to for definite would be awesome. Beautiful! I have some of the masking fluid, I got the Winsor & Newton brand, but I haven't done anything messy enough to make it worth using yet. I'd love to see how you use it. Beautiful! I like the holo stars best also! And a YES to a how to even if its a selection of photos with explanation. 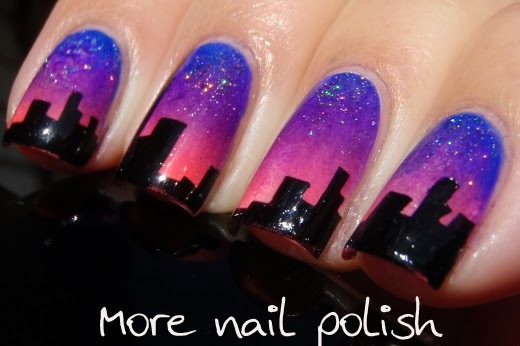 What a lovely mani Kathy, have you tried using pva glue? How does it compare to the art masking fluid? Is that the type for watercolour? I'd love to see how you use the masking fluid! Please! ?